Covers of your favorite hits or heartfelt original rock ballads? Moscow's streets are the best concert venues. 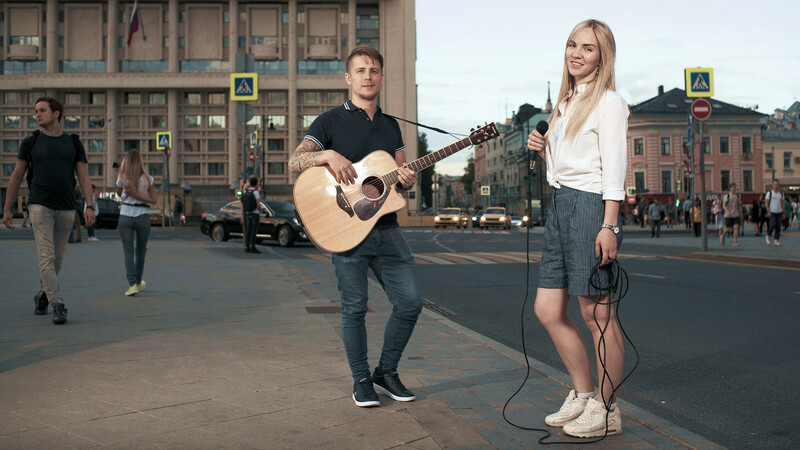 Every summer, the streets of Moscow turn into concert venues: home to professional musicians eager to spread the word, and to office workers looking to unleash the soul. 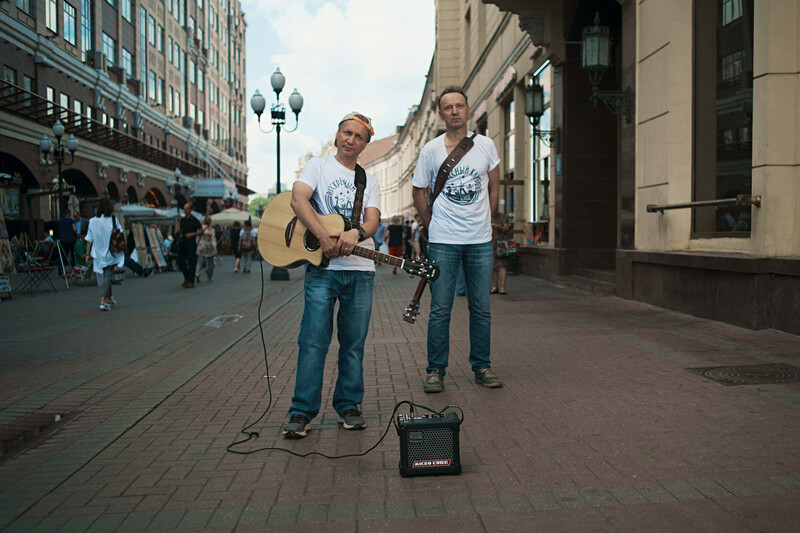 Ground zero for street musicians is Old Arbat, Moscow's (and Russia's) number one pedestrian thoroughfare. Musicians have played here since the 1980s (despite police disapproval back then). Today, however, they just have to register with the Street Musician city project and set up shop where they please. Most performances take place here. Every day from morning till night, the air is full of weird and wonderful sounds, such as ImprovizzzProject, for instance. 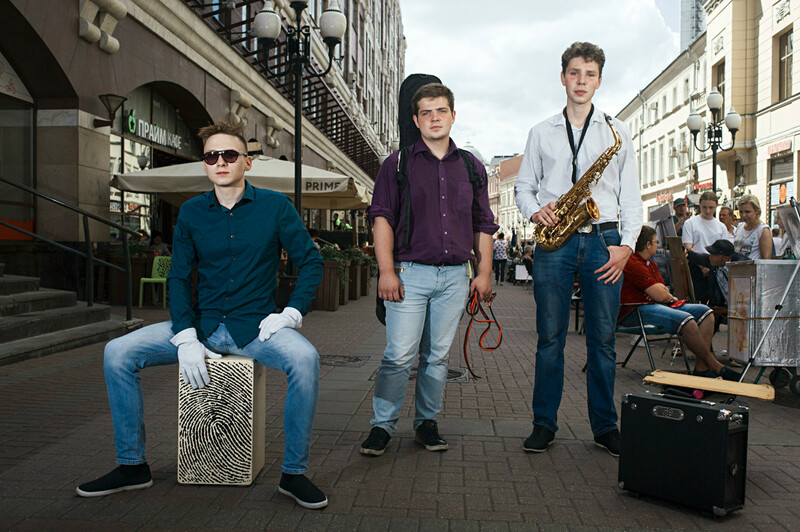 This outlandish trio consists of Maxim Isayev on saxophone, Mark Farstov on bass guitar, and Ivan Sereda on the cajón, a Peruvian percussion instrument. “It's more portable and easier to shift than a huge drum,” says Ivan. ImprovizzzProject plays “original covers” of famous Russian and foreign songs, and their concerts make even the suicidal want to sing and dance. “We are the heirs of 1960s rock — The Beatles, the early Rolling Stones, and Soviet ensembles,” says Alexei Voronin, leader of Voskresny Klub (Sunday Club), another street headliner on Old Arbat. Despite numbering four musicians in total, the group often performs as a duo or trio. The guys have known each other for ages, and play their own stuff. In the late 1990s, Alexei even wrote a book about Arbat musicians. “Why do we play in the street? We want to take our art to the masses!” says Sergey Lyaptsev. That said, the group doesn't shy away from the capital’s rock clubs and open-air festivals. “The band also takes part in charity gigs, we play at hospices and hospitals,” adds Alexei. The jazz orchestra Second Line revives the traditions of New Orleans funeral marches, but it’s not boredom you'll be dying of! This seven-piece orchestra delivers such a crazy jazz experience that passers-by are literally transfixed. “All jazz originally comes from street music—funeral and ceremonial. 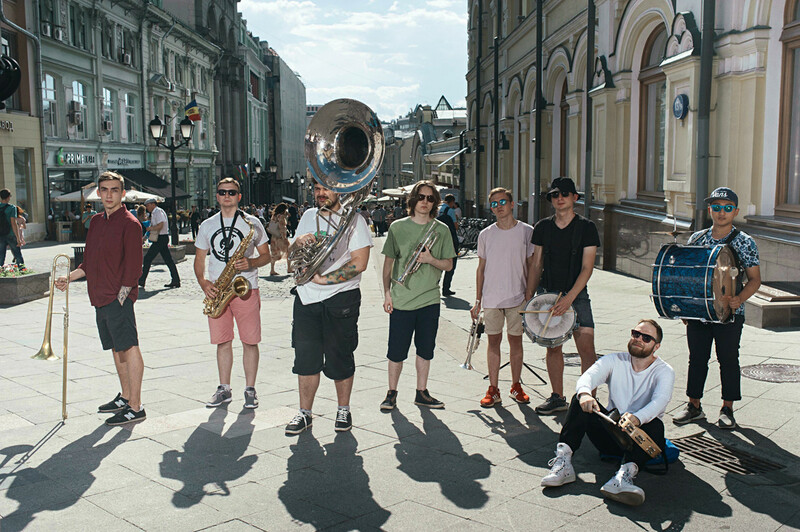 We were inspired by this tradition and decided to bring a little bit of New Orleans to the streets of Moscow,” explains Mikhail Griboyedov, who leads the orchestra. Second Line plays both reworked hits and their own compositions. Each performance is a parade in which even spectators are encouraged to take part. Besides Mikhail, a Russian-English translator, all members are professional musicians. As the artists admit themselves, street performances don’t make you rich: a two-hour show brings in around 500 rubles (about $8) per person. On the plus side, they’ve amassed thousands of social media followers who never miss a performance by their favorite band. 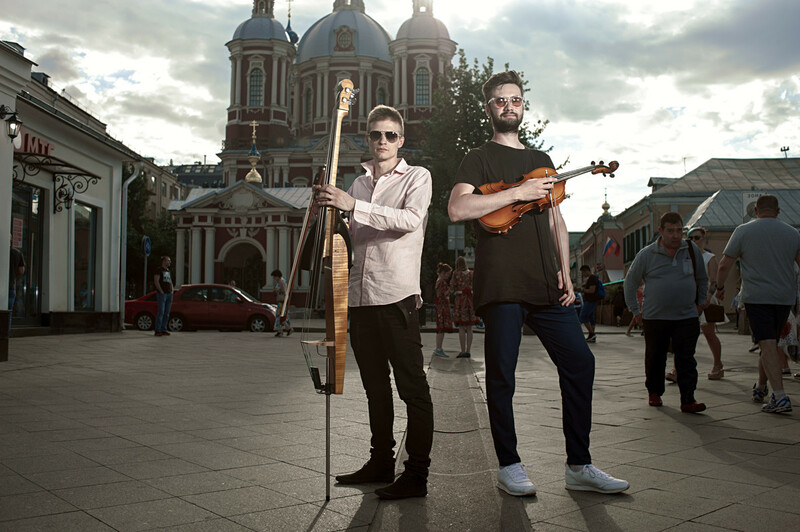 Stop Thinking, an acoustic alto and electric bass duo, can be seen on Pyatnitskaya Street almost every day. Pavel and Dmitry often play Daft Punk, hits by Michael Jackson, and famous rock songs—all their live covers sound truly incredible! The public vibe is always positive: “Yesterday we were even served food by waiters from a nearby restaurant,” says Pavel. Music is their main occupation. Stop Thinking shoots its own videos and plans to switch to their own—mainly rock — songs when they become more famous. By day, Vera “Nika” Sergienko is a teacher at the University of Transport and Alexei Borisov works as a programmer. By night (or rather evening), they hit the streets of Moscow to work the vocal chords. They met two years ago at a rock band audition, and today play cover songs in English.